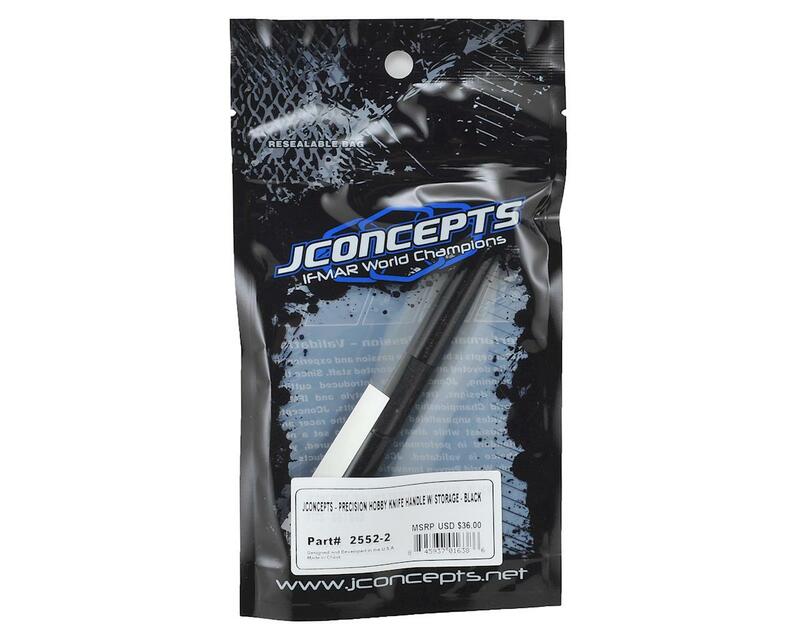 This is the JConcepts Precision Hobby Knife Handle with blade storage. The most common item located in every R/C work area must be the hobby knife. 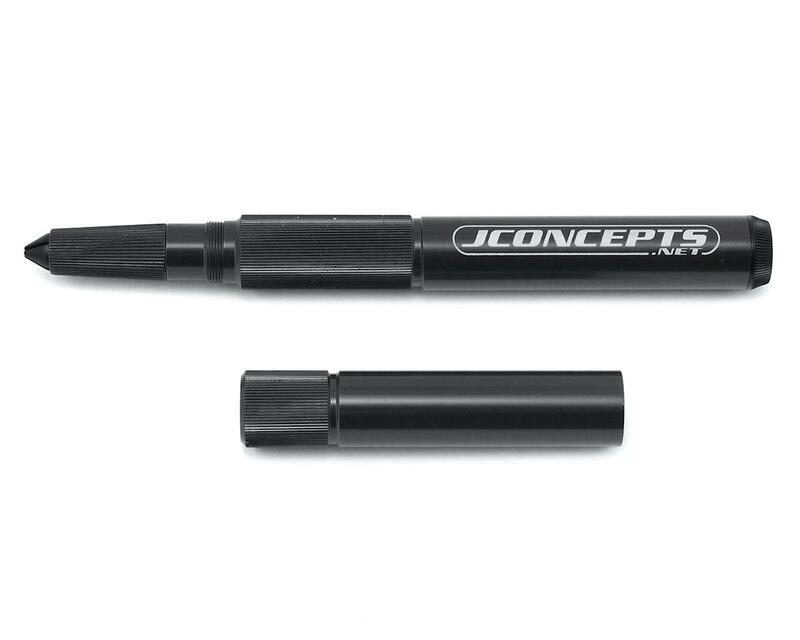 JConcepts has put precision, durability and luster into a ground-up hobby knife design. The multi-piece design comes assembled and ready to accept any high-quality after market blade. The clamp and collar act together to support the blade which secures tightly into place. The main handle is light-weight and has ample room to store replacement blades inside. 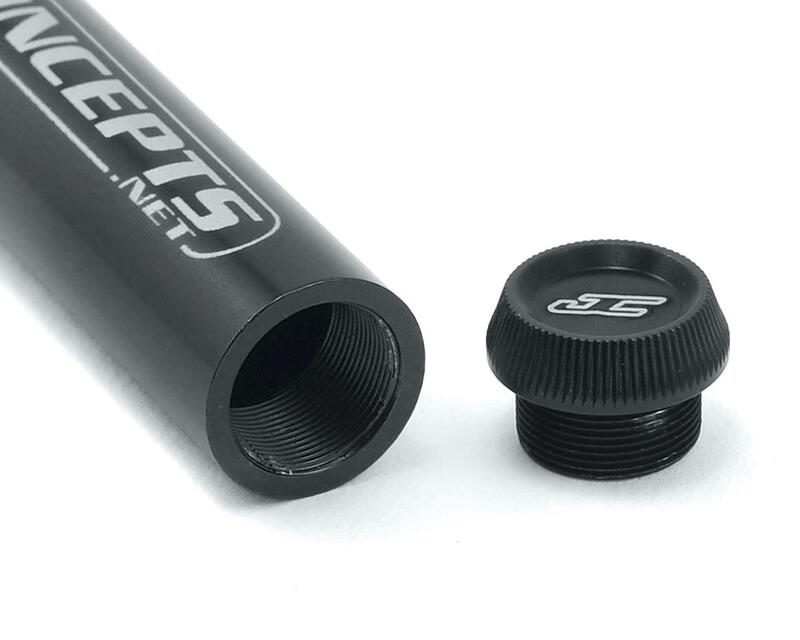 The end cap features a knurled surface for an easy on and off while the main cover quickly spins into place to protect the blade and user from danger. Note: Hobby knife blade is not included.